Have the most fashionable Bucket Scrub Brush in the barn! Soft grip handle and colorful bristles makes cleaning buckets fun - well not really, but still an improvement over your last Bucket Scrub Brush. 10" long. Bucket Scrub Brush comes in assorted colors. Buy 3 and Save! Bucket Scrub Brush is rated 4.8 out of 5 by 71. Rated 5 out of 5 by HaffieLover from Best scrub brush ever! Love these. I ordered one a couple of months ago. Very sturdy and great size for scrubbing out buckets or stock tanks. I just ordered 3 more. As a bonus, the colors are fun. Rated 5 out of 5 by Emma from Love These are perfect. I have them all over for scrubbing buckets. I wish you could pick the color you get, but hey it’s a little fun to see what you get! Rated 5 out of 5 by Ginna from Handy I got the 3 pack so I can keep a brush everywhere I need one. Rated 5 out of 5 by MollyB from Great brush This sturdy brush is just the right size and shape for scrubbing buckets. Rated 5 out of 5 by FarmerFromVermont from Great Large Scrub Brush Perfect brush for cleaning water buckets and tanks both large and small. Really a high quality substantial brush and a great deal for the price. Rated 5 out of 5 by Denise from No one likes to scrub buckets, but when I do, I now have the best tool for the job, I don't know if it makes the water taste sweeter, but my horses seem to appreciate a clean bucket at the ready. I know if would if I was drinking from it, and now this scrub brush makes sure I can really do a good job. Rated 4 out of 5 by PDBYRAM1997 from Works great Cleaned two white very dirty buckets with just brush and water. Rated 5 out of 5 by Parm from Brightens Up Bucket Cleaning! My old scrub brush was getting worn out and I saw that SmartPak had a three-pack on sale. I sent for it to ship with my horses' next order. When they arrived I was surprised to see two bright green brushes and one bright pink one. I started to use one of the green ones right away and put the others away for later. They seem to be well- made and have stiff bristles that get in the corners and edges of the buckets better than my old grocery store bought one did. I like the colors and the brush looks nice hanging in the barn. I am glad I purchased these as they brighten up what can be a boring chore! 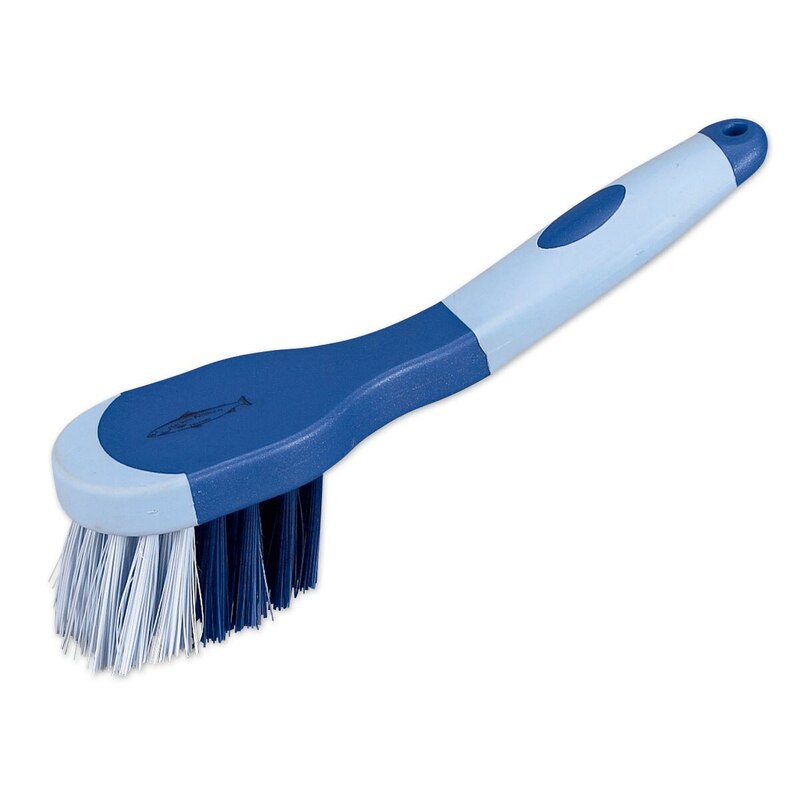 Rated 1 out of 5 by Jacki in Highland from Sheds bristles I was happy with this brush for the first month that I had it but it began shedding bristles into my water trough each time I used it so I ended up throwing it away after just a couple of months.